The Carriers are manufactured from material which is thicker at the top than at the bottom of the bag. 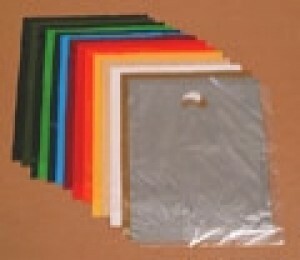 The Clear bag is manufactured from 40/80 micron (160/320g) material. All the other bags are manufactured from 45/90 micron (180/360g) material. All bags have been treated for print. The bag references are as follows - Clear 1014CL, White 10WH, Black 10BK, Dark Blue 10DB, Light Blue 10LB, Gold 10GD, Harrods Green 10HD, Silver 10SI, Burgundy 10BU.